A car is an excellent way to get about - if you can get in. The RoMedic AutoSlide car access system can help. Getting into cars can be difficult and awkward, but once in, they are the key to freedom for many people. RoMedic have developed a device that makes it easier to get into cars and into a comfortable position. The AutoSlide allows its users to turn and move sideways without great difficulty. If a little more force is needed, there are handles in the sides of the seat cushion - to provide helping hands. 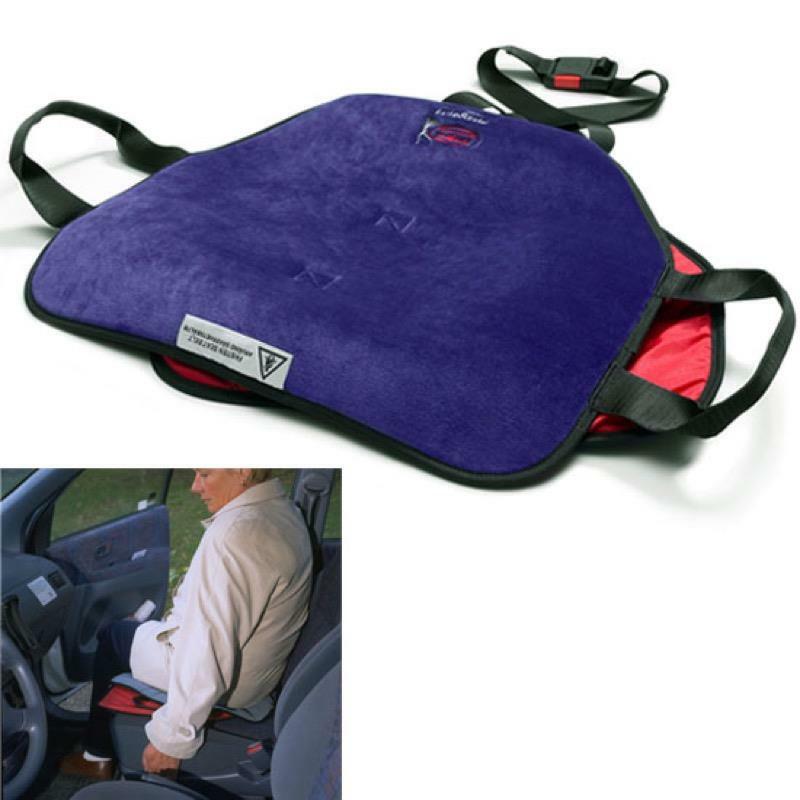 The seat cushions are firmly attached to the backs of car seats, so users cannot slide forward. The device is very simple to fit and use - then it's just a matter of starting the engine and driving off. Use the AutoSlide to facilitate getting in and out of cars and to reduce the effort when readjusting the sitting position during the journey. The outer surface and straps are made of polyester, and the inside surfaces consists of ULF (Ultra Low Friction) our unique sliding material. Robust handles enable carers to provide assistance. Secure fitting in the car seat prevents users from sliding forward. The soft, padded surface provides for a comfortable journey. The ULF sliding material reduces friction under buttocks.